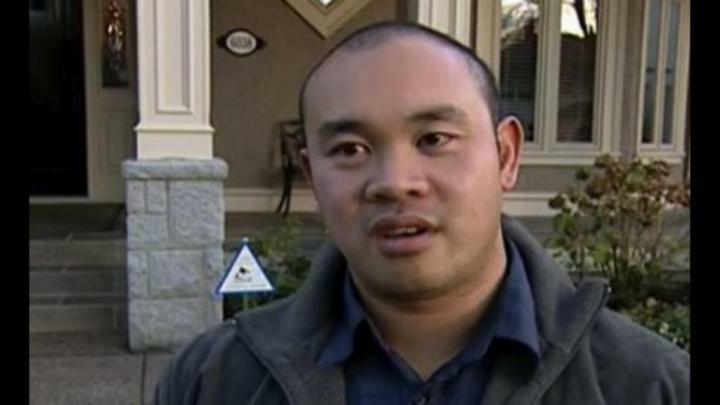 Vincent Cheung was so delusional due to his drug addiction that he became convinced that the Justice Institute of B.C. was using a satellite in space to track his movements and that it was “zapping” his brain. The Langley man responded by waging a campaign of terror against people linked to the institute, a public safety education facility that trains police, fire and emergency medical responders. Cheung hired at least one person to set fires and take pot shots at people linked to the institute. The details of Cheung’s descent into paranoia were disclosed Wednesday when he was sentenced to 13 years and six months, less one year and six months for time served. The “bizarre and malevolent” attacks on “entirely innocent people” were “laden with danger” Vancouver B.C. Supreme Court Associate Chief Justice Austin Cullen said. The judge said that Cheung “was obviously (aware of) the impact of the drugs (on his state of mind)” because he went to rehab at one point. Cheung had pleaded guilty the previous week to 18 counts related to the attacks on homes and cars associated with 15 people between April 2011 and January 2012. “My client knew he was paranoid for years and, you know, there are other tools available to deal with that,” Peters said. Crown counsel Joe Bellows was “well satisfied” with the sentence, even though it was slightly less than the upper amount of 15 years he wanted. “It was within the range that the crown recommended and I think it does send a message,” Bellows said. Bellows also praised the police investigation, calling it a “very well structured and innovative investigation” and indicated more charges are expected. Cheung had collected licence plate numbers from people parked at the institute and arranged to get their names and addresses from an ICBC claims adjuster. The police are continuing to investigate the privacy breach and “further arrests and charges are anticipated in the future” the Combined Forces Special Enforcement Unit of British Columbia (CFSEU-BC) said Wednesday. Cheung associate Thurman Taffe has pleaded guilty to one count of arson in connection with the attacks. His sentencing is scheduled for Aug. 22.